Ductal carcinoma in situ (DCIS) is a non-invasive cancer where abnormal cells have been found in the lining of the breast milk duct. The term "situ" in the title means "in its original place." Therefore, these atypical cells have not spread outside of the ducts into the surrounding breast tissue. Ductal carcinoma in situ is very early cancer that is highly treatable, but if left untreated or undetected, it can spread into the surrounding breast tissue. When you have had DCIS, you are at higher risk for the cancer coming back or for developing a new breast cancer than a person who has never had breast cancer before. Invasive ductal carcinoma (IDC), sometimes called infiltrating ductal carcinoma, is the most common type of breast cancer. The abnormal cancer cells that began forming in the milk ducts have spread beyond the ducts into other parts of the breast tissue. Invasive cancer cells can also spread to other parts of the body. IDC is the most common type of breast cancer, making up nearly 70- 80% of all breast cancer diagnoses. It is also the type of breast cancer that can most commonly affects men. A diagnosis of triple negative breast cancer means that the three most common types of receptors known to fuel breast cancer growth–estrogen, progesterone, and the HER-2/neu gene– are not present in the cancer tumor. This means that the breast cancer cells have tested negative for hormone epidermal growth factor receptor 2 (HER-2), estrogen receptors (ER), and progesterone receptors (PR). Since the tumor cells lack the necessary receptors, common treatments like hormone therapy and drugs that target estrogen, progesterone, and HER-2 are ineffective. Using chemotherapy to treat triple negative breast cancer is still an effective option. In fact, triple negative breast cancer may respond even better to chemotherapy in the earlier stages than many other forms of cancer. 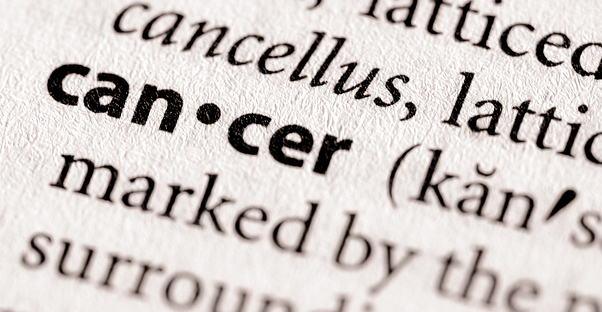 This cancer is more likely to affect younger people, African Americans, and Hispanics. Inflammatory breast cancer is an aggressive and fast growing breast cancer in which cancer cells infiltrate the skin and lymph vessels of the breast. It often produces no distinct tumor or lump that can be felt and isolated within the breast. But when the lymph vessels become blocked by the breast cancer cells, symptoms begin to appear. It is a rare and aggressive form of breast cancer. Metastatic breast cancer is also classified as Stage 4 breast cancer. The cancer has spread to other parts of the body. This usually includes the lungs, liver, bones or brain. Keep in mind that a recurrence of breast cancer or metastatic (advanced) disease is NOT hopeless. Many women continue to live long, productive lives with breast cancer in this stage. It is also likely that your experience with treatment this time will be somewhat different from last time. There are so many options for your care and so many ways to chart your progress as you move through diagnosis, treatment, and beyond.